The matchup many around the WNBA wanted all season long, the Minnesota Lynx and the Los Angeles Sparks will square off in the 2017 WNBA Finals. The showdown on the WNBA’s biggest stage will happen for the second straight season. 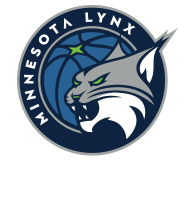 The Lynx and Sparks faced off in last years WNBA Finals, with Los Angeles edging Minnesota in five games. The best-of-five series will kick off in Game 1 at 2:30 p.m. (CT) on Sunday at Williams Arena. 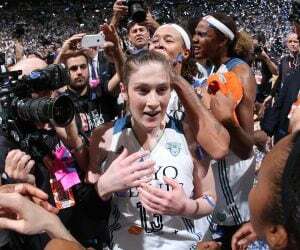 Since the Lynx are the top seed, Games 1, 2 and 5 (if necessary) will be played in Minneapolis during the series. The Sparks, the No. 2 seed, will host Games 3 and 4 (if necessary) in Los Angeles. During the regular season and for the start of the playoffs, Minnesota and Los Angeles have both been the top two teams in the league. The rematch is set. 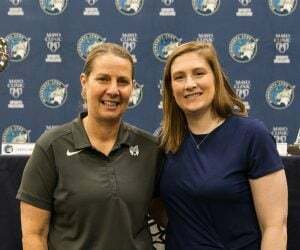 Lynx and Sparks round two begins Sunday in Minneapolis. 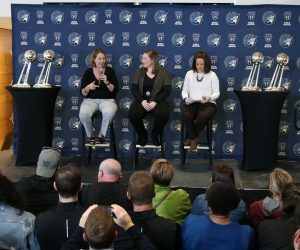 The Lynx kicked off postseason play at Williams Arena on the campus of the University of Minnesota in the semifinal round against the Washington Mystics. And to say that the Minnesota fans provided a homecourt advantage would be an understatement. The Lynx don’t just want that same noise and advantage again in the WNBA Finals. They want even more. “Be there. Get out to the Barn. We need every space filled. If we can do that, and we can play the basketball that we are capable of, we have a good chance of winning this thing. We worked hard during the regular season to have homecourt advantage. Here we are, we earned it and we think it’s going to come into play,” Reeve said. “But only if our fans show up. . . This is probably the opportunity for a real homecourt advantage. We had homecourt advantage last year and we lost two times, in Game 1 and Game 5. That cannot happen again. We’re going to do our part in terms of x’s and o’s and hopefully the players will bring it. 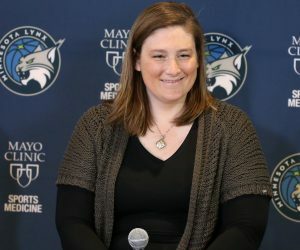 For the Lynx, their fans have been a big part of the team during this impressive seven-year run, a run that has led to six WNBA Finals appearances and three WNBA titles. There’s no doubting that Lynx fans are one of a kind. And the team knows they will come out in full force during the WNBA Finals at Williams Arena.